Crafts by CAS: Ink, Ink & Even More Ink! Ink, Ink & Even More Ink! 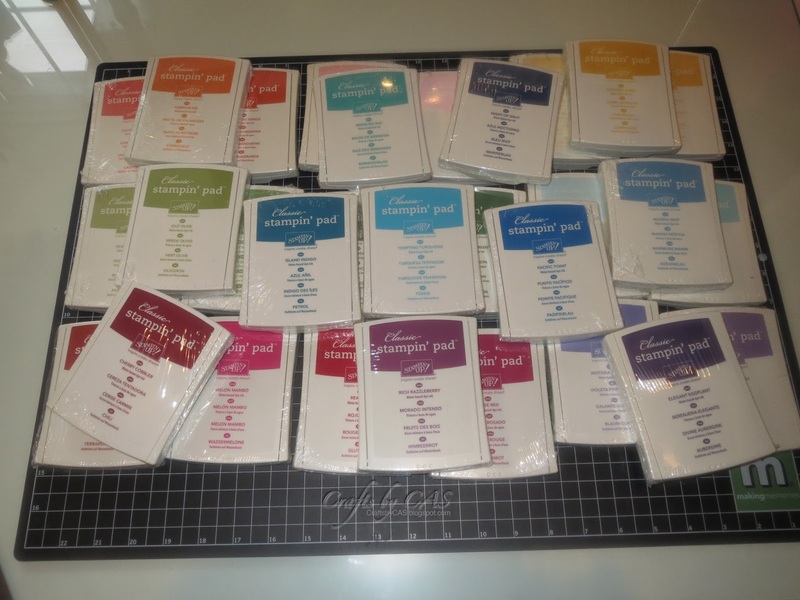 I just received my first shipment of ink from Stampin Up! Something tells me I may have enough ink now. I've been enabled. I can't take full blame for the ink explosion that just slapped chaos on my craft room. Christina has been showing videos this week on the Stampin Up! products and she lured me in. Trying new ink is a pretty big step for me. I've been a loyal and true Papertrey Ink girl since the beginning. I love, love, love the weight of their cardstock but I haven't been so happy with the results from the inks lately. I've been going back and forth trying to find ink colors that would coordinate well with PTI's paper. I placed my order on the 1st of August and it was at my door on the 8th! I thought I'd show the 'chaos' part of this new found ink. Here is where I currently house my ink pads in my 5 x 5 Expedit from IKEA. Something tells me the 30 new ink pads are not going to fit in the same space. I'm back to the constant battle of finding a home for new products (while still having my room feel 'pretty' and organized). Maybe I should just move myself into a Michaels or a Hobby Lobby and take up residence. Think they would mind? Oh, they would have to be pet friendly, I'd need to bring my Yorkie with me! While I started to unpack my lovelies, I decided I would make an ink swatch deck for myself. 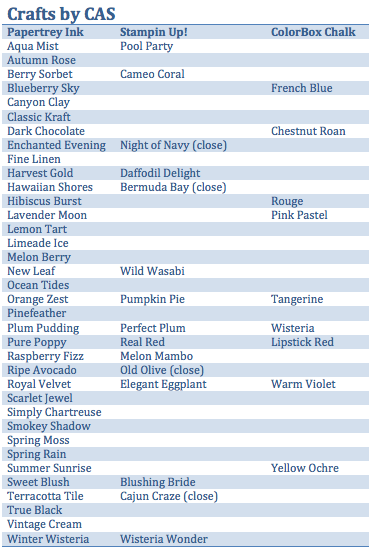 I also came up with a cross-reference chart to match the different ink colors across the brands I use. The chart is a work in progress as I add colors, but here it is so far.